Rickie Fowler is an American Professional golfer who can be said to be the Justin Bieber of Golf. The reason is that he started swinging those tiny clubs when he was just three years old and apart from his skills on the golf course, his hair is quite a topic for discussion and admiration from younger fans. Being that he started playing the sport quite early, he has a good following of young fans. He, no doubt, has come a long way from his teenage years and as a champ now, he is competing on a level he knew he would eventually. Here are more in-depth details about him. Rick Yutaka Fowler is a professional golfer who was born in Murrieta, California on the 13th of December, 1988. He has both Japanese and Native American ancestry. His grandfather from his mother’s side is, Yutaka (Taka) Tanaka (a Japenese man), while his grandmother is a Native American woman. His father, Rod is an American. This thus makes Rickie have Japanese ethnic heritage as well as Native American. 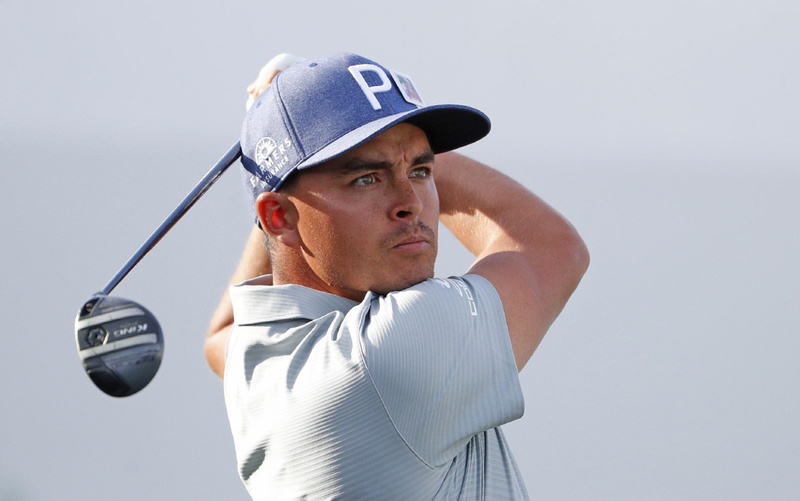 Rickie played golf while he attended high school at “Murrieta Valley High School.” He was so good at the sport that he won the SW League Final with an impressive total score of 64-69=133. This further led to his team qualifying for the state final in 2007 and this was done when he was in his senior year in high school. Upon graduating from high school, he went on to gain admission into the Oklahoma State University located in Stillwater. On the 1st of October, 2007, he recorded his first victory at college, this was when he was part of the Fighting Illini Invitational which was hosted by the University of Illinois. He won the tournament by one stroke by shooting a 203 (70-63-70). Another win followed in the summer of 2005 when he won the Western Junior. However, he suffered a defeat by the hand of the reigning champion, “Richie Ramsay.” When he competed in the U.S Amateur. So far, he plays on the PGA Tour. His major achievements include being ranked the number one amateur golfer in the world a title that lasted for 37 weeks between 2007 and 2008. He also reached a new milestone in his career when he was listed in the Official World Golf Ranking as the fourth best golfer in the world. This feat came after he was victorious in the 2016 Abu Dhabi HSBC Golf Championship. Currently, Rickie Fowler ranks as the 7th best golfer in the world. His parents, Rod Fowler and Lynne Fowler, were pretty much active in a different sport, “dirt bike racing,” and this is one of the reasons he was initially so passionate about the sport. When he was younger he would race his dad at every opportunity he could get until a tragic accident occurred which led him to focus more on golf which was initially his secondary go-to sport. Rickie has just one sister named Taylor Fowler. Unlike Rickie, she was never a sports person, in fact, she disliked the game of golf, calling it a “slow game.” All this changed during her junior year in high school when a friend of hers dragged her to a golf course and made her try out for the women’s high school golf team. This was because the team was short on players. She did take a few swings and subsequently made the team. It was then that a spark of interest started to grow in her, something she never really felt watching her brother play initially. Nevertheless, we believe that coming from a sports family like hers must have rubbed off on her in ways she didn’t even realize. Now she is a junior golfer in the women’s team, though not anywhere near her brother’s sheer ingenuity, notwithstanding, she most definitely can hold her own. Rickie Fowler has sure basked in the euphoria of singlehood with no obligation to a committed relationship for quite a long time. However, something changed in the 2017 U.S open when he was seen walking hand in hand with a woman. If you followed the 2017 U.S Open, you might have found this woman oddly familiar; if you did, well you were unto something because the lady in question happens to be Allison Stokke, a famous model and professional Pole Vaulter, who first got wide attention in 2007 when a picture of her competing at 17 went viral. On the 8th of June, 2018, Rickie proposed to Allison on an unnamed beach pictured with waves captured beside them. The date of his proposal was perfectly timed as it was done on the “National Friends Day.” His proposal was announced via his Instagram account and we sure believe that this would be a very memorable proposal that would be in Allison’s mind for a long time. We patiently await the wedding date. Fowler has done quite well to keep in shape considering the fact that he participates in such a prestigious sport such as golf, he sure wouldn’t want to look all saggy when he is on the golf pitch. Moreso, seeing that his girlfriend is also a sportswoman who likes to keep fit, he tries hard to maintain a good lifestyle for his body and appearance. The golfer currently weighs 150 lbs in relation to a 5 feet 9 inches height.